What are the best Instagram posts and can you really match that with your happy snap to gain traction. 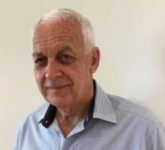 Here Peter Hanley looks at today. What is the best Instagram post? I believe the record has just been taken out by Kylie Jenner overtaking her past attempt. Last year she posted a photo of her daughter that got 18 million likes. 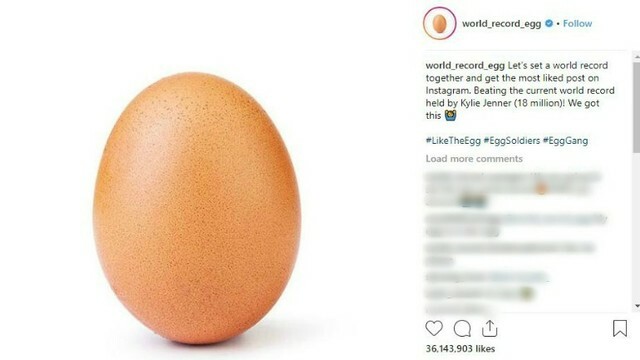 Well this time with 27 million likes, from one photo is an EGG. What is also amazing is the 2.8 million comments that follow the post. How do you beat that. Kylie has the following of over 114 million ( 2017) and that does not come near Christiano Ronaldo at 145 million. Furthermore, Kylie picks up a cool Million bucks for a paid Instagram post. What can you do to grow? The answer is really simple, post amazing pictures, often and encourage likes and sharing. As a local business, you don’t need a million followers you just need to entertain the ones you have and pull a few new ones along the way. In many cases, Instagram outstrips Facebook for viewing potential, particularly in the Millenium bracket. If this is your target market you could be on a winner. I am an Old guy and quite frankly I can’t really get my head around the benefits of Instagram over Facebook, But, and I say this loudly all my kids do, and their kids a well so how can I argue with the facts. I regularly see small business’s smashing their marketing using just Instagram. It is also basically free. The only proviso is that you post regularly, in fact, several times a day. If you can’t do it outsource the opportunity to someone that can. Instagram stories is a series of posts that tell a story. This is to get people to follow you and stay connected and make comments thus growing your business. Have a link on all your correspondence with a call to action and seek out opportunities at every opportunity. Instead of rewriting the world I shall send you off the WikiHow that has a pretty good rundown of the how and why questions and answers. Instagram also has a rundown when you join. Mine is not to tell you how I am here to tell you why. My God Daughter is a Hairdresser. She posts to or three hairstyles on customers a day. She is fully booked and this is her only advertising. My Daughter runs a Women’s clothing shop. Started with Facebook now does two or three posts a day on Instagram for better online shopping results. Another who is a major in promoting Facebook marketing consistently backs it up with Instagram for results. They are just a close example of local marketing with results let alone the followers of the rich and famous. I was just talking to a client in another Industry line that is fast going out of business, Times are tough, competition is strong, people are dropping prices are all the things I heard in our conversation. I asked what he is doing about it and the reply was nothing I can do. Many times I have suggested free marketing tips, using Facebook, Instagram, Affiliate programs among them but none have been done or even tried. Furthermore, we went further with email and SMS marketing to gather some business. It was all too hard. If that was hard I said try going broke. His nearest competitor, in the same Industry, is buoyant and profitable. In this case partly because he is part of a Franchise and they do some of this for him plus they push him to complete local marketing activities. No one will do it for you. It is up to you to plan your own results and put the infrastructure into place so that it is done. However my word of caution is to not try and do everything at once. Get one program working before you move on to the next.